 Polish Ninja: Ninja Polish is launched!!! If anyone wants to link to our site, here is a mini version of our graphic for side-bars! This is great! Finally, a store that sells int'l polishes for reasonable prices and has reasonable int'l shipping rates! Your site was so easy to navigate. Great job! I can't wait to get my package. 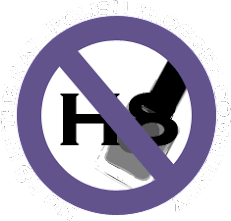 News of your shop has leaked onto MUA NB! Flood of orders inc. . . I had to stop by to tell you what an AMAZING job you gals have done with this. You score a 10 out of 10!! The website is INCREDIBLY useful, simple and well laid out. The merchandise is BEYOND COMPARE and the PRICES?!?!?! Let's just say you finally got me to order Glitter Gal and I'd been holding out a loooooong time on that one. I wish you all the success in the world!!!! You're crazy for having those low prices, and a sweet too, but you won't make much out of it :/ but I do admire what you're doing, many people will be able to get some amazing polishes!! I have to say that I have been dealin with these gals for a few months and would so highly recommend them! I Am Absolutely Dying Over Your AMAZING Site!!! You Are So Awesome!! Thanks For These Awesome Prices! I NEVER Thought I Would Own Some Of These Brands Due To The Prices, But Thanks To You I Will!!! And The Shipping Is AMAZING Too!! AGGHHH *(Can You Tell How EXCITED I AM?!?! )* !! I Just Placed An Order, Floam And The Cover Band Polish, Sticks And Stones Will Soon Be MINE, And Will Be Placing Another As Soon As I Deposit Money Into My Account!! Thank You!!! Congrats on your new site!!! Maybe that's why I didn't sleep well last night...I could hear the lovelies calling from across 80. :-) Best of luck with it! Heads up: you're probably gonna get a bit of a witch hunt happening thanks to some current drama... ignore it. The vast majority of people are supporting your new site! Love the site, and very pleased with the prices. Very happy I can now purchase these polishes (once stock is back) because I've issues with another site and won't buy from there anymore. Super excited! Great job!!! Please get me some Sticks 'N Stones soon. hi! i tried to fill in the contact us form but i couldn't seem to submit it! is there an email address i could send my inquiry to? or could you possibly email me? :) melissa.kmy@gmail.com, thanks very much! where are you at in Georgia?